Aqua Aloha Surf, 1 of Waikiki's most popular hotels, is now transformed as a designer appointed boutique hotel located 2 blocks to the beach and steps from world class dining and shopping. 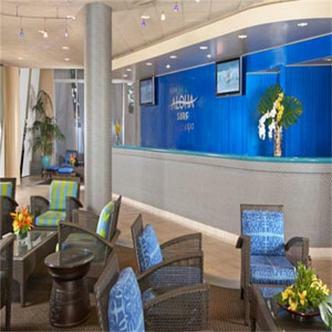 This hotel, where surf style meets urban sophistication, offers the following complimentary amenities: daily Continental breakfast, in-room high-speed Internet and WiFi in lobby & poolside, daily local newspaper, local & toll free calls, LCD TV's, mini-refrigerator, microwave, coffeemaker and safe. The large, open air lobby connects to a relaxing pool area with cabanas lit by tiki torches every evening.